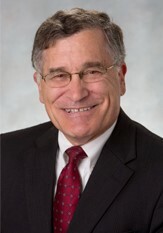 Paul Irvin has been a plaintiff’s personal injury attorney since 1979. He specializes in civil litigation primarily in the areas of personal injury, medical malpractice and products liability. He was Florida Bar Board Certified Civil Trial Lawyer in 1987 and brings years of experience and a wealth of knowledge to his cilents. Paul Irvin graduated with high honors from the University of Florida College of Law in 1979. Since that time, he has handled civil litigation on both trial and appellate levels. Paul and his wife Rebecca have four children and eight grandchildren. They are very active in their church, where Paul has served as an elder for many years.